Global sales of tablet computers extended their slide in early 2016, with some bright spots at the low end of the market and more expensive “detachables,” a survey showed Thursday. Overall sales of tablets fell 14.7 percent in the first quarter to 39.6 million units, continuing a downward trend from 2015 when the once-hot market cooled, said the survey by research firm IDC. Apple remained the top seller with a 25.9 percent market share, even though its iPad sales slumped 18.8 percent from a year ago, IDC said. Samsung held the number two spot with a 15.2 percent market share, even as sales tumbled 28 percent. Amazon jumped to number three, as its low-cost Fire tablets at prices as low at $50, saw a surge in sales. While Amazon does not publish sales figures, IDC estimated it sold 2.2 million tablets in the quarter, a leap of 5,400 percent from a year ago, giving Amazon a 5.7 percent market share. Chinese-based Lenovo and Huawei were fourth and fifth, with market shares of 5.5 and 5.2 percent, respectively. IDC said the “slate” tablet still accounted for 87.6 percent of the market in the past quarter but that sales of laptops with detachable tablets more than doubled to 4.9 million units. “The introduction of detachables from traditional smartphone vendors is only beginning and pose a real threat to traditional PC manufacturers,” said Jean Philippe Bouchard, research director for tablets at IDC. The relatively strong performance by Apple was helped by the introduction of the iPad Pro 9.7-inch model, one of the new tablets with detachable keyboards, as well as a price drop for the iPad Air 2, the report said. 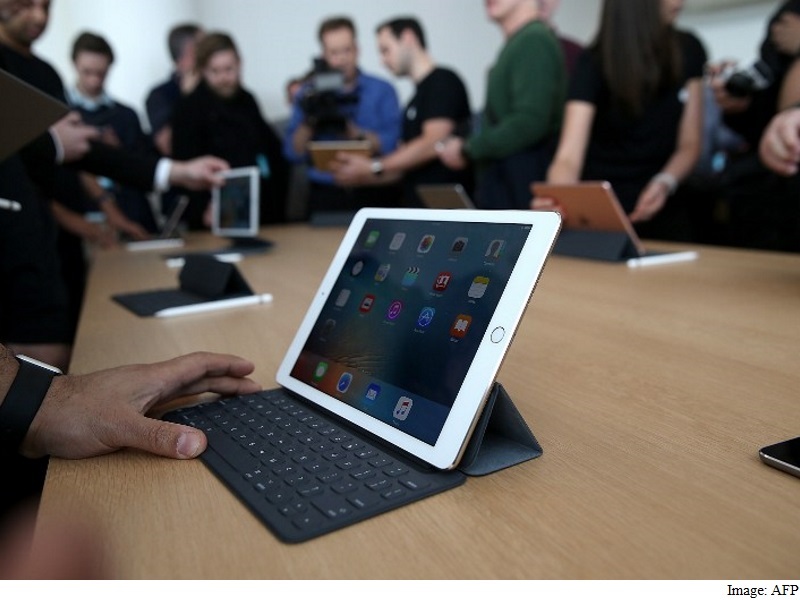 With the iPad Pro, Apple staked its claim to a market created by Microsoft with its Surface tablet, IDC said. “Microsoft arguably created the market for detachable tablets with the launch of their Surface line of products,” said IDC analyst Jitesh Ubrani.